Two wins from two (both away from home and against top European opposition, 1-0 in France and 2-1 in Sweden) isn’t a bad way to start a new year or a new job. 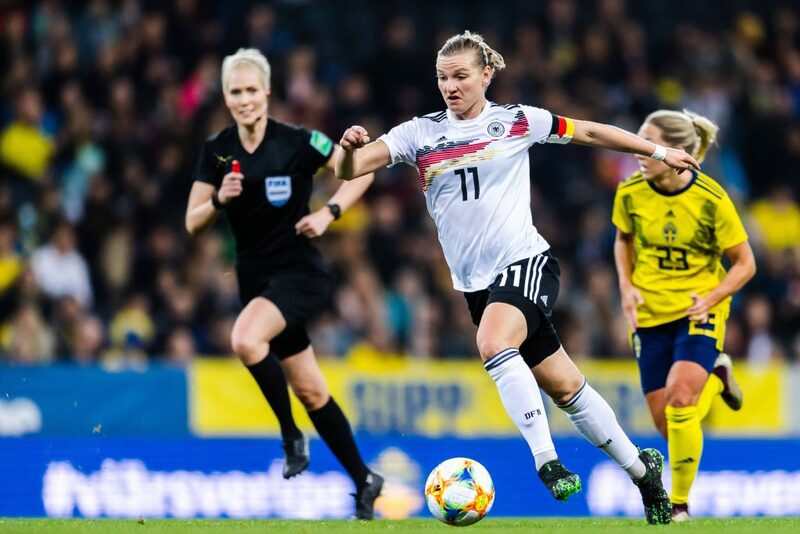 For Germany under new head coach, Martina Voss-Tecklenburg, the pieces seem to be fast falling into place ahead of the FIFA Women’s World Cup. Our travelling reporter, Sophie Lawson spoke with the coach as well as captain, Alex Popp about where the team stands ahead of France 2019. SK: It’s well documented that you have very little time with the team who were playing well under Horst [Hrubesch], did you want to come in and implement your own style or keep the trajectory of the team the same? MVT: Both. It’s a progression for Germany and the World Cup is just one point in the development over the next two or three years. 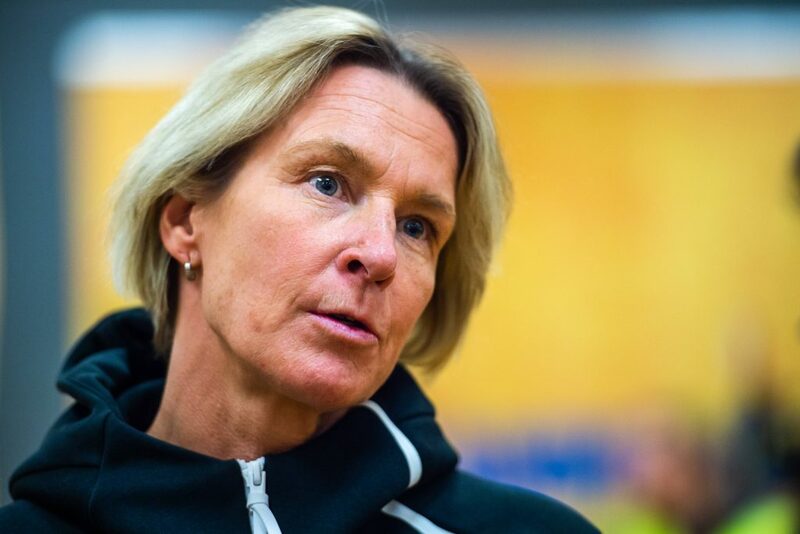 We need players like Alex Popp, Dzsenifer Marozsán and Almuth Schult but also we need the young players because they don’t think that much, they just go and play and they have a lot of speed; and it’s our idea to go fast in the offensive, that’s how we want to play. SK: There are so many good players in the Frauen-Bundesliga, as well as the established players there are many younger players who you’re bringing into camps, how important is it to have the balance between young and old in the team? MVT: We need a balance but not just for the World Cup but in the hierarchy on the field and off the field, we know this and we have a good balance. We have really great young players, but we need the experience from the old players because playing a tournament is a new situation for the young players. SK: Is there one thing you think you need to change, or fix, before the World Cup? MVT: I don’t know, there’s not only one thing but a lot of small pieces and tweaks – because we always look at the big picture for Germany. SK: What would a successful World Cup campaign look like for you? 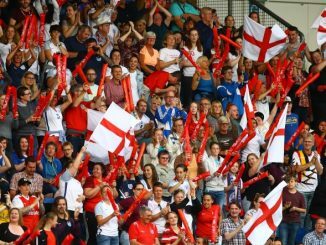 MVT: A successful World Cup…. 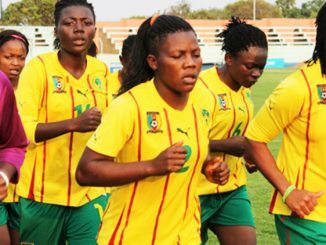 first, we have to qualify for the Olympic Games but it’s a challenge because we have other good European teams at the World Cup so maybe, the semi-final. But we will see, we are a young team and this is our first goal. SK: When Horst took over from Steffi [Jones], the team seemed to understand what he wanted from them and now with Martina, there seems to be the same understanding, can you explain why that is? AP: Horst gave us a plan and that’s good for us because then we know what we do. And Martina has followed with a plan… she has a plan for all of our matches, which is very important, and she’s very communicative with us. SK: You’re one of the more senior players in the squad now, as well as being the captain, do you feel that you’re a role model for the younger players coming into the team to look up to? AP: I think so, in the years before when I was the young one, it was Birgit Prinz and Inka Grings, and so on, as the role models. And now, I pay it forward, I know the role and I hope I do my best to fulfil the expectations… and we get together a good way as a team. 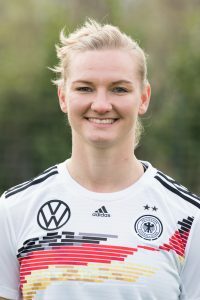 SK: For people not familiar with the German national team who might be watching for the first time at the World Cup, is there one player on the team you think people should look out for? 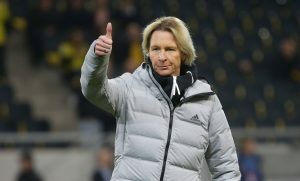 AP: It’s hard to say; we have induvial quality and when we get together we become better, so, all of the team, just Germany. SK: And can you win the World Cup this summer? AP: I hope so [laughs] it’s a difficult route to the title but we will give it our all and we hope we will do our best.